Los Banos Philippines, 31 August 2018 – Hybrid rice technology has the potential to increase rice production and contribute to rice self-sufficiency in the Philippines, in the context of increasing global demand for rice. Elite hybrid rice varieties can directly benefit rice farmers and consumers – by increasing yields and farmers’ incomes by up to 20%. The International Rice Research Institute (IRRI), through the Hybrid Rice Development Consortium (HRDC), plays a leading role in developing elite parental lines and hybrids suitable for different agro-climatic conditions. HRDC hybrids are bred for higher yields, better grain quality, improved pest and disease resistance, and good level of seed production. 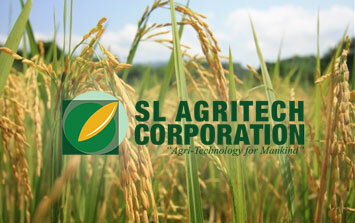 SL Agritech Corporation (SLAC), a member of HRDC, is a Philippines-based company engaged in the research, development, production, and distribution of hybrid seeds and premium quality rice. SLAC is the largest hybrid rice seed company in the Philippines and tropical Asia, and a market leader in premium quality rice. IRRI and SLAC have entered into a six-year Limited-Exclusive Commercial License Agreement for the Philippines, concerning two HRDC elite hybrids: Mestiso 6l and Mestiso 68. The limited-exclusivity agreement was necessary in order to ensure full investment by SLAC towards scaled-up production and distribution of the seeds from the two elite varieties in the Philippines. SLAC committed to seed sales objectives for these two elite varieties. As per CGIAR Principles on the Management of Intellectual Assets for Limited Exclusivity Agreements (LEAs), this agreement includes the usual Research and Emergency Exemption clauses.